Life if busy in the D'Andrade household. Mike is involved in a business start up -- financing for small businesses. I am busy with Brayden's karate classes, Chayse's dance, baton and modeling career. Yeah, I know, she is only 5. I am busy myself with my tap and jazz dance classes. way too many stories and memories to write down. 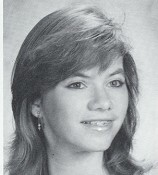 Kelly O'Brien D'Andrade has a birthday today.